Overview of awards – Aoife Lawton, Systems Librarian, Health Service Executive Dublin. Laura, Grace and I bring you reflections on the process, benefits and experience of the Library Association of Ireland awards based on our joint presentation at the recent “Developing as a Professional: Attaining a Library Association of Ireland (LAI) Award” organised by the LAI CPD Committee on 20th November this year. For those of you who attended, it was a certified event. The cert will count towards achieving Associateship. Most Library Associations around the world offer their members the opportunity to raise their profile and demonstrate professionalism by applying for various awards or levels of registration which they offer. In the UK, CILIP has a range of awards including Certification, Chartership and Fellowship. Branches and specialities within librarianship offer additional certification, such as the MLA’s Academy of Health Information Professionals and ALIA’s Certified Professional (Health). The information industry is growing and we are all working in a competitive space. There is competition for quality and reliability of information provision. Librarians have long occupied the information world but our world is increasingly being rattled by big and bold (and better?) competitors. For example, no OPAC or discovery tool can compete with Amazon. Some libraries have done away with the former. (Kortekaas & Kramer 2014). Google Scholar (GS) is the search engine of choice for many students and professionals alike. Students prefer the usability of GS over library databases (Chen, Shih-chuan, 2014). After 10 years of existence the precision of GS is increasing (Gehanno et. al, 2013). Is this bad news for librarians? No. Why? Because these competitors exclude the human element and the tacit and explicit knowledge of the human. This is where the thinking librarian has a key role. But if nobody knows that you exist or that you are qualified then readers will turn to online resources which are free and easy to use as the alternative. The challenge is for librarians to stand up and be counted. Make sure that people see you and value you as a professional. One small way to do this is through your professional library association. Awards from the Library Association of Ireland (LAI) include Associateship and Fellowship. According to the Memorandum and Articles of Association, the LAI aims to promote “high standards of library services and the profession of librarianship”. The LAI has a responsibility to establish and monitor professional standards in the profession of librarianship and one way it achieves this is through these awards. These awards have been available to members since 1989. 3. Practical experience – you need to have a minimum of 2 years post-qualification experience of working in the library and information sector. The LAI will take part-time and temporary work into account. · Evidence to demonstrate your continuing professional development. Compiling the professional development report & evidence is really a piece of CPD in action. The process gives you the opportunity to give your CV an overhaul. On a practical level, you get to put ALAI after your name. Presumably nobody outside of the LIS sector will have a clue what this refers to, but there will be an acknowledgement that it is something professional. A certificate is presented to you by the President of the LAI and at least in my case, there was a ceremonious, celebratory feel to the presentation, with complimentary tweets received from peers. On a personal level, this gave me a welcomed boost. I’ve added ALAI to my email signature and LinkedIn profile. I had plans to frame the certificate and put it next to my desk in the library, but these have not reached fruition yet. The fact that the librarian has gone through the process of applying for Associateship or Fellowship demonstrates a personal commitment to the professional of librarianship and shows that they are dedicated and have a professional approach. In many cases, the fee is paid for by the employee which equally shows a certain level of belief and respect for librarianship. What’s in it for the profession? I believe that Associateship and Fellowship is a type of lifelong learning and commitment to the profession as a whole. Those of us who are privileged to work as library and information professionals have the opportunity to advance our professional status through these awards. As I mentioned in my presentation we should flaunt it. If you walk into any GP practice, Vet or Dentist in the country you will see an array of framed qualifications and awards on the wall. As a client, this instils a sense of trust in the provider. Even restaurants display awards and ratings from TripAdvisor and others as an indicator of quality. Are you more likely to go into that restaurant? Librarians should do the same. Frame qualifications and awards and display them in your library or office. It will give readers a sense of being in a place of quality where people are invested in and believe in their profession. Insights on my experience of the ALAI process, by Laura Connaughton, Assistant Librarian Library Information Services & Subject Librarian for English, Celtic Studies and Media Studies, Maynooth University. One of the main requirements of the application for ALAI is the Personal Statement. I found this incredible challenging as it cannot be more than 500 words. I have had four years library experience, which is relatively short, however I still found it a challenge to put my personal experiences into 500 words. I did find the personal statement an excellent way to reflect on my career to date and made me think about how I’ve contributed to the library profession. I included information on any conferences I’ve presented at, seminars I’ve attended, committee membership and my professional memberships. It also afforded me the opportunity to talk about the development of my personal, management and leadership skills. The personal statement is an excellent opportunity to demonstrate my passion and enjoyment of my chosen profession. Another main requirement for the application is a record of your CPD activity. I would suggest, if you haven’t already, keep a record of every CPD activity you do such as all training, courses, seminars attended, any blog posts, articles, speaking at conferences, committee membership activities etc. I use a Word document on my desktop and keep it up to date. LinkedIn (www.linkedin.com) is a super tool to keep a record of CPD activity also. LinkedIn manages your professional identity and also allows you to build and engage with your professional network. Your Continuing Professional Development enhances your CV and strengthens your application. I enjoyed compiling my application for Associateship of the Library Association of Ireland – it allowed me to reflect on my career to date as well as looking towards the future and the direction that I am headed in my career. Personally, applying for the ALAI created an artificial reflection point in my career, where I listed positions, skills, training, and experience in a methodical way. It pointed out strengths and weaknesses, and a career pattern which I would not have recognised without taking this bird’s-eye view. It also made me reflect on all the advantages I have gained in being involved with LAI Committees, both professionally and personally, and how this opened doors to unforeseen opportunities. Across many professions, the awarding of Associate or Fellowship status is a recognised mechanism to endorse professionalism. The LAI offers a process for those of us working within Irish librarianship to demonstrate the value and contribution we make as information professionals. These awards can have significance and be advantageous if we seriously engage with the process, and if a critical mass of recipients are awarded or indeed rejected by the process. As I await my ALAI fate, I urge anyone to begin the process. Start the list, find a mentor, and take the time to value your own career and the place you play in Irish librarianship. 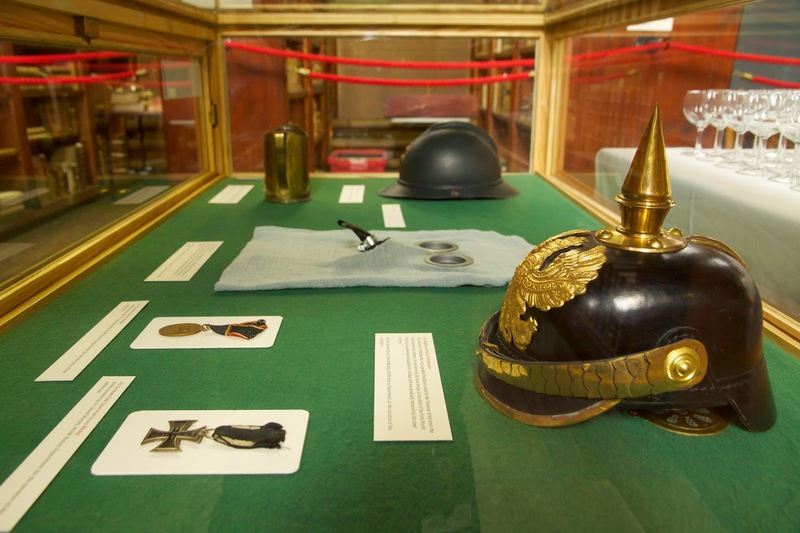 We are currently hosting a very interesting exhibition in the Russell Library to mark the anniversary of World War I. 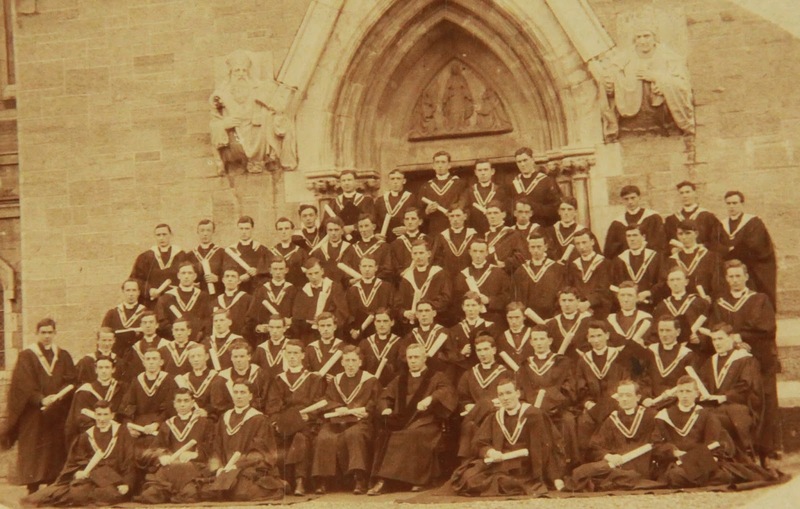 ‘Maynooth College 1914-1918’ was developed to commemorate the role of Irish Catholic army chaplains in the First World War while also documenting the history of Maynooth College during this period. On Tuesday 18th November, there will be an event specifically for librarians and archivists as part of Library Ireland Week. The full programme and booking details are available here. The exhibition is a collaborative endeavor between St. Patrick’s College, Maynooth and Maynooth University, with a grant from Kildare County Council towards costs. - To commemorate the centenary of the First World War. - To focus on local history during the period 1914-1918. - To assess the impact of the War on the day-to-day running of the College. - To commemorate the work of Irish Catholic army chaplains during the conflict. - To explore the relationship between the Irish and English Catholic administration at this time. - To explore the impact of the War on teaching staff. - To explore attitudes towards the threat of conscription in 1918. - To create opportunities for community engagement, specifically with regards to adult learners. - To encourage learning, reflection and dialogue in relation to Ireland and the First World War. - To encourage further research in the area of conflict resolution and military history. - Daily life in Maynooth College during the First World War. - Meeting the need for Irish Catholic army chaplains at the front. - The threat of conscription in Ireland. - Irish nationalism during World War I. - A German professor at Maynooth College. I look forward to welcoming you to the Russell Library on 18th November, to mark Library Ireland Week. A year ago I wrote about library-signage redesign efforts at CSI Library, which has led to improved wayfinding for students and increased circulating-book transactions. CSI’s challenge was to better bridge the retrieval gap between virtual OPAC identifier and physical shelf location. The same challenge applies to our context here at DBS Library. Over the summer we looked at how a similar feat could be accomplished in our library. As opposed to CSI Library (three-floor building) our setup is somewhat more straight forward as the main lending and reference collections reside on one floor; the bays are also for the most part sequentially aligned. We sat down and first of all looked at how physical signage could be improved. This involved enlarging fonts and a clearer layout of subject descriptors, as well as splitting double-sided bays into separate logical units and class number ranges: A (front) and B (back). To make orientation for students easier, we also added alphanumerical perpendicular(ish) signs, which were attached above the main bay labels. This covered the physical layout aspect. A URL or URN, which provides electronic access data in a standard syntax. The SQL table ‘Items’ was adjusted to include the shelving location code 952$c. There were two options looked at regarding the inclusion of links to maps in the OPAC. The first was to include 952$u in the catalogue records. The problem with this was twofold. One catalogue record might relate to different physical locations, which in our context are: Aungier Street Main Lending, Aungier Street Reference and Dame Street Main Lending. 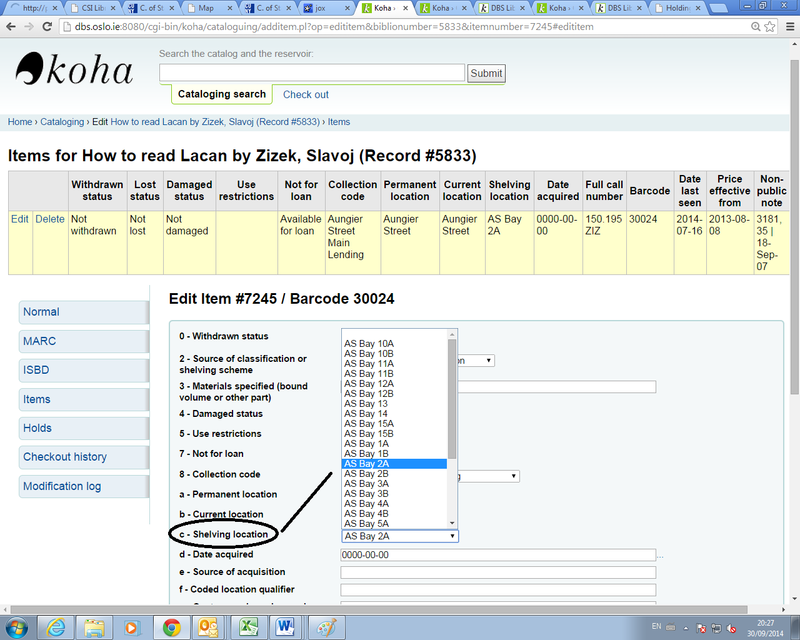 Second, it is not possible to do batch catalogue record modifications at present in Koha. However, there is a workaround using MarcEdit for batch bibliographic record modification, but the problem with multiple item locations within one catalogue record is still not addressed – which map would you link to? The second option was to add the link to the map to the item records. This could be done by batch item modification but the issue here is that while you can add a URL to the item record you cannot add a note to describe it. So the library user would only see the standard message as below “Link to resource”. We are considering to include a global digital map (one for each site) with relevant bay-sign markers. The maps would then be placed prominently on the OPAC homepage. As an aside, the consequence of adding a shelf location code is that library staff must take note when shelving not to shift books from one bay to another (or one side of a bay to another) without updating the relevant item records. 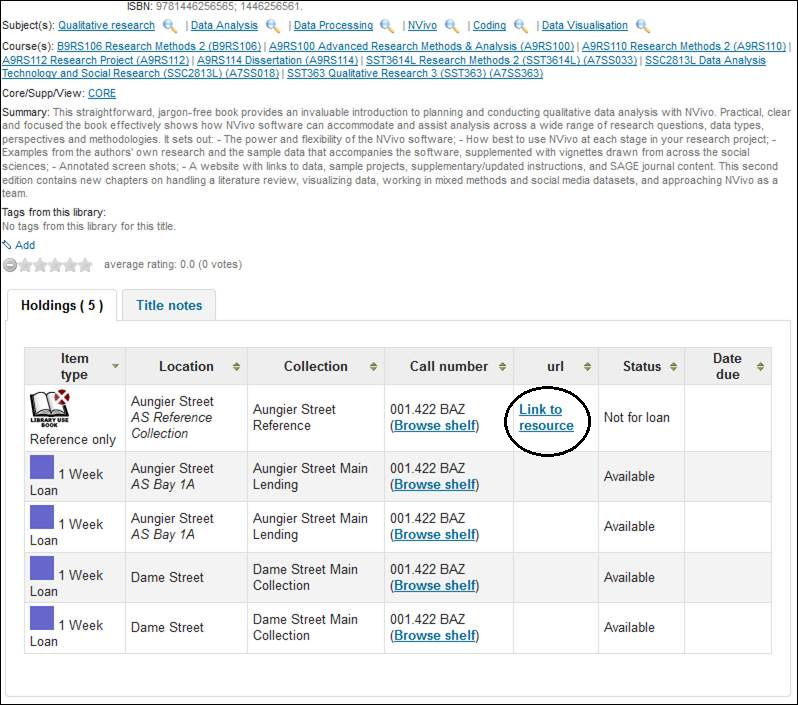 Below is a sample screenshot of a catalogue record with a bay location identifier at item level (example: AS Bay 3A). Essentially, the library user has now information about the physical location of the shelf in addition to the call number. 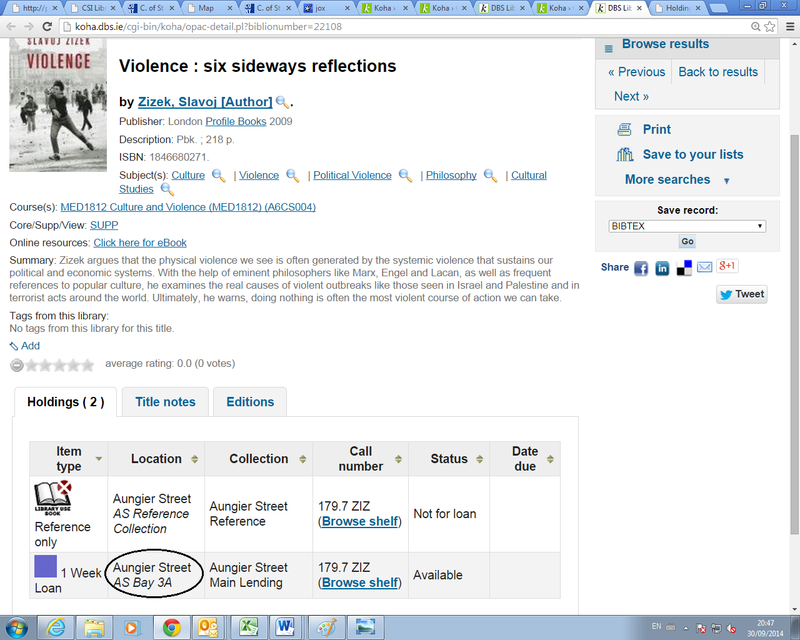 In this example, Violence : six sideways reflections with the call number 179.7 ZIZ lives on shelf 3A. This additional piece of information reduces the burden on the user to identify the correct shelf. Within our context, all the user has to do now is look down the aisle and keep an eye out for the perpendicular(ish) sign 3A. The term has just started and I took the liberty of asking some students in situ (at the OPAC station) what they thought of the additional location descriptor (i.e. digital with analogue linkup). Their responses were uniformly positive. 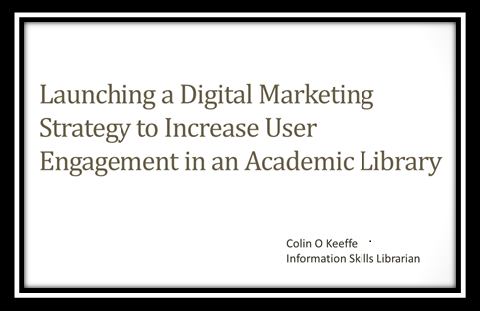 The idea, ultimately, is to empower students and reduce wayfinding queries at the reference desk, as well as reducing library anxiety. Credit goes to my colleagues Trevor Haugh, Marie O’Dwyer and Colin O’Keeffe. This project would not have been realised without their expertise, enthusiasm and active support. It’d be great to hear from other folks out there who have tried to improve wayfinding in their library context through a combination of digital/analogue signposting via Koha (or any other LMS). Amy F. Stempler, (2013) Navigating circular library stacks: a case study on signage. 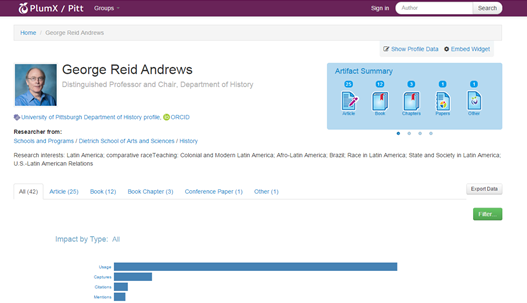 Reference Services Review, 41(3), 503 – 513. Wilson, A. (2012) QR Codes in the Library: Are They Worth the Effort? Journal Of Access Services, 9(3), 101-110. Hahn, J., & Zitron, L. (2011). How First-Year Students Navigate the Stacks: Implications for Improving Wayfinding. Reference & User Services Quarterly, 51(1), 28-35.